Manga Monday: Does Hina's goodness prevent her from seeing others clearly? Hina's sweet nature and love of those around her may make her blind to the dangers around her in Suki: A Like Story Volume 2. Note: Suki: A Like Story Volume 2 is part of a series. 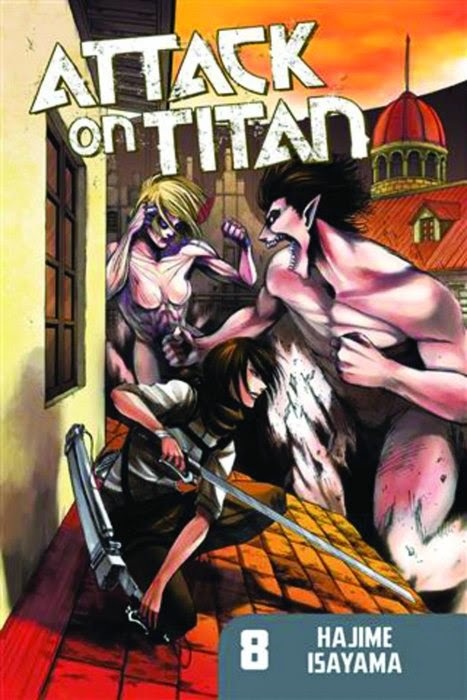 For the review of Volume 1 click here. Otherwise, read on. There once was a cat who traveled. Her back was black light the night, with spots scattered across it like the Milky Way Galaxy. She had a bit of magic about her, and she touched lives along the way. This is the tale of Sirial's Milkyway Hitchhiking Volume 1. In 'The Black Cat's Wish,' Milkyway comes across a black cat named Sarah. He was rescued by his owner, and all he wants to do is thank him somehow. So he asks Milkyway to become human, if only for a day, or a few hours. Just long enough to thank the person who saved his life. If a cat was given the abilities of a human, how would he choose to thank his savior? 'Cat-Food Burglar' is the story of a strange little girl. Whenever anyone puts food out for the neighborhood cats, she steals it and eats it herself. Milkyway misses a few meals like that, before she begins to investigate. She's hardly starving, she's got a little bit of a tummy on her, so why in the world would this girl be so selfish? 'Mechanical Cat in the Gray City' leads into 'But There Is Only One.' A robot cat named Sandy has wandered out of its home. As Milkyway and Sandy wander the city, the nature of happiness, and of cathood, are explored. All the while, Sandy's young owner cries for her. Is a robot cat just as important, and irreplaceable, as a flesh and blood one? Sirial has created a gorgeous and pensive manhua. Each page is rich with watercolor-style artwork and broad vistas. While some pages might not be the most detailed, the sheer beauty of the composition simply blows the reader away. This is far and away the most beautiful art I've seen in a comic in years, on par with the great Kaoru Mori, but completely different as well. 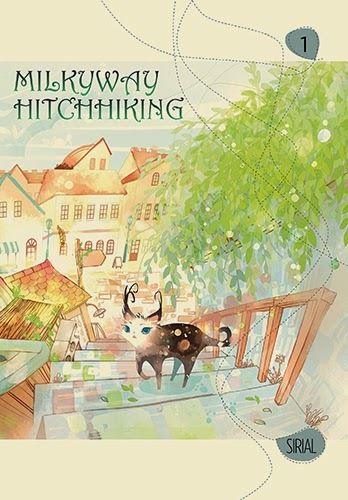 Milkyway Hitchhiking is a wonderful, introspective book that takes the time to explore the world, one story at a time. Highs: The longer, connected chapters bring a welcome sense of fullness amid the one-shots. Lows: Occasionally, the layering of art, English text bubbles, and Korean sound effects can be hard to read. Verdict: Milkyway Hitchhiking is a surprising breath of fresh air in the busy, action-packed world of manga.